It’s been awhile since I’ve exhibited some of my Wall Art. So I’m a bit excited about being part of this group exhibition ‘ROUND Opera Festival Exhibition’ @ 88 South Main Street, Wexford. Showing New, never before seen by you pieces. The “Round” exhibition is an exhibition of works by 74 different Artists. That’s over 230 pieces. It was suggested submissions should be a maximum of 8 inches in diameter. Ceramics, Paintings, Prints, Photographs, Graphics, Watercolours, Pen & ink, Metalwork, Woodwork. All pieces priced up to €100 and below. 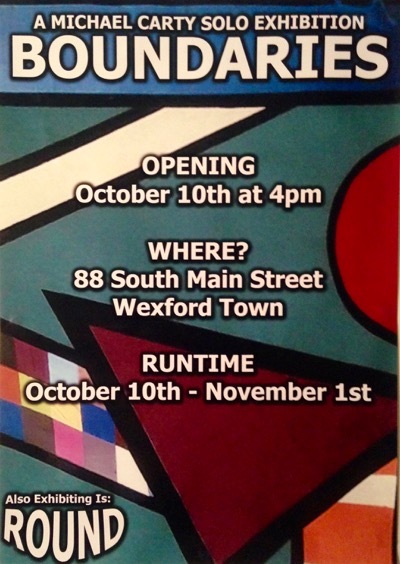 The Exhibition will be open every day to the close of the Wexford Opera Festival 2015. 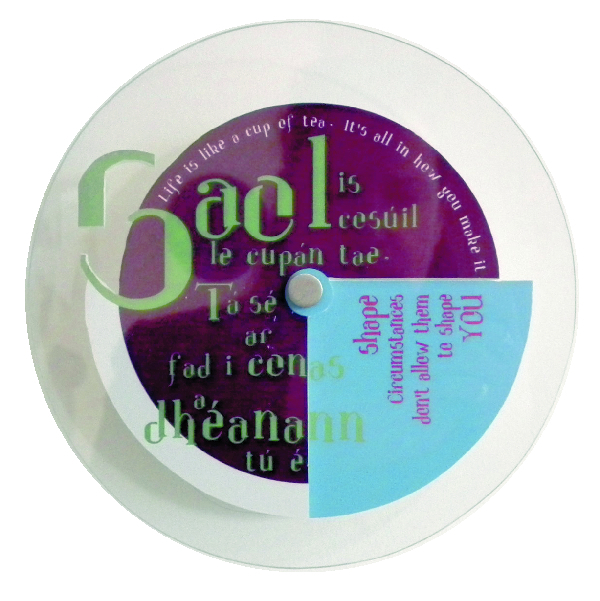 I create with lettering, type and colour to explore the meaning of sayings, Irish proverbs and feelgood phrases. 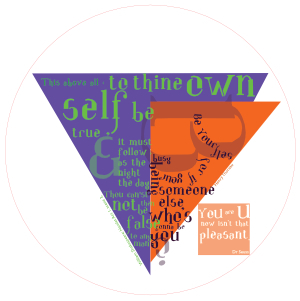 I try to share the beauty & expressiveness of type. Utilising Typograpy and print signage medium, Vynil, Perspex, FoamX. The photographs below do not do my pieces justice. 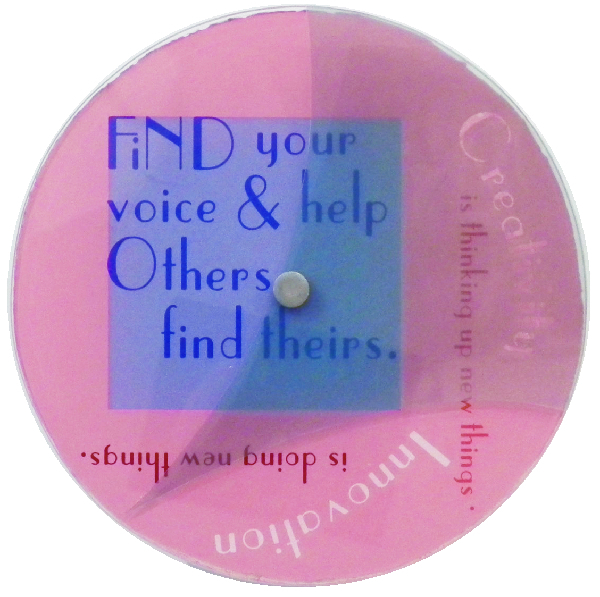 Find your voice & help Others find theirs. 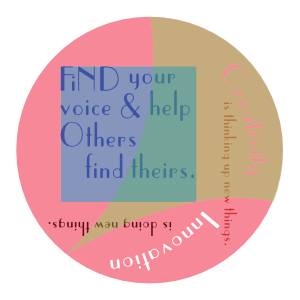 Creativity is thinking new things. Innovation is doing new things. What gives your life meaning & purpose? Saol is cosúil le coupon tae, Tá sé ar fad i cones a dheannann tú é. Life is like a cup of tea. It’s all in how you make it. Shape circumstances don’t let them shape YOU. Few Irish people don’t love their cup of tea & many a wise word or truth has been shared in it’s drinking. Naturally comparisons, lessons and truisms have been drawn from the tea making process. In other words take responsibility for the things you do and how you feel about the world you live in. Knowing you’re responsible means you and only you can make the changes necessary to have the life you want. 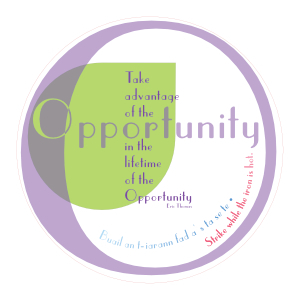 Take advantage of the Opportunity in the lifetime of the Opportunity. – Eric Thomas. Buail an t-iarann fad as ta se te. Strike while the iron is hot. Looking back with regrets and I should haves its not good for your heart. 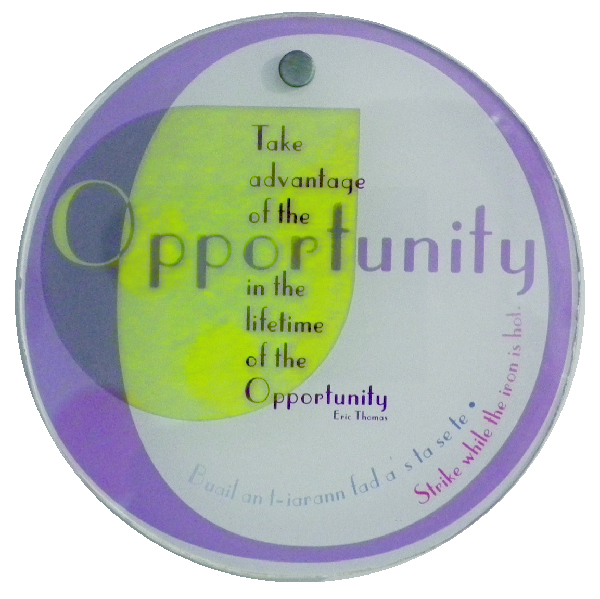 Recognising an opportunity is all about knowing what you want. Have a plan. As a Graphic Designer I try to live by ’ the ideal: “I want to make beautiful things, even if nobody cares, as opposed to ugly things. That’s my intent.”. -Saul Bass. Sometimes strong emotions get in the way of creating personal pieces. For these pieces I took another quote I try to live my life by. Thus I created an angry piece. I took my typeface Bearna (The typeface title comes from ‘mind the gap’). This is strictly a display face so using it at a small size in a wordy setting is sacrilege and difficult to read. The colours purple with green text is signifiant. The old blood red with a hint of brown on Halloween orange: Be your self for if your busy being someone else who’s gonna be you? -Henry Thoreau. adds a sinister twist. Then tempered by Dr Zeuss You are U. Now isn’t that pleasant. &No! I would not recommend the commercial printer I used to output this piece either, a hideous, inaccurately coloured rendering if ever there was one. In any case a few days later while i considered weather I should include this piece in the exhibition. I realised of my friend. I stand only in my own shoes. I can surmise why you did this. But I won’t ask because really I don’t need to know, however your solution has put others in his sights. Then, the anger. It went away. 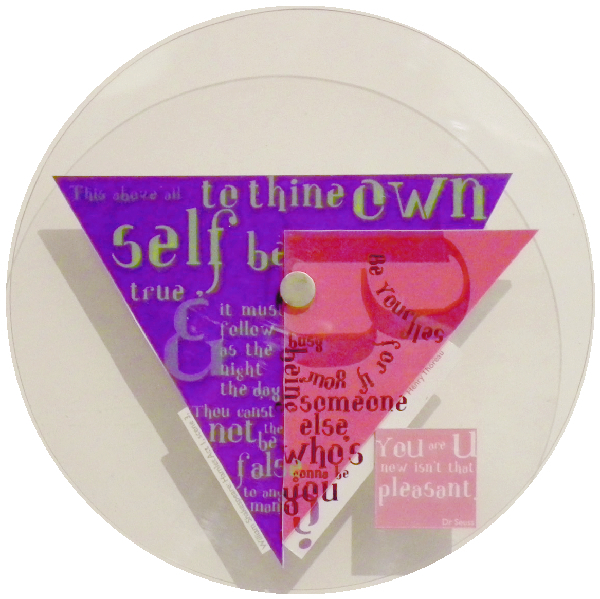 ‘I must admit I had things going round in circles trying to make disks for this exhibition. It nearly drove me stir crazy. Throughout the Wexford Opera Festival 2015. ” For decades I’ve been entralled by the minisciule work of irish monks, their detailed freehand, mathematical lettering in the celtic manuscripts & the older written language of Ogham. 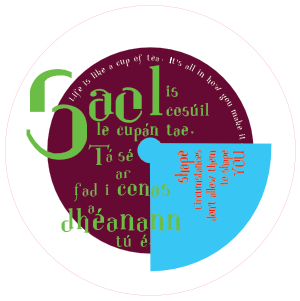 The many sean fochail, wise sayings and phrases that flow freely though Irish speach, folklore/ history & written language.